Are you moving to Barcelona for the first time in your life? No doubt there are various amazing options but before you know the apartment you were planning to rent, will be in the hands of someone else. Apart from that, you must sensibly select an apartment that will meet your demands in the best possible way. Here we have the list of things you need to consider while looking for an apartment in Barcelona. When you are looking for an apartment it is better to have a time frame in your mind related to how long you are planning to stay in Barcelona. If you are planning a long term trip, you can find the best apartment at the most affordable rates, increasing your chances of negotiations and, if you are planning to stay short term, you can pay per night like in a hotel, just that the cost will be much more affordable. It will allow you to save a decent amount of money and you can easily invest in anything else while travelling. Keep in mind that there are some apartments that are expensive because of their location. Which is why, you must carefully select everything depending on your time frame. An important factor to consider are the windows in the apartment because not all windows are built equally. You should know the view that you will get from the window which can be street, park or garden. In most of the apartments, there are small interior windows. From these windows, you can easily look into the interior patio. They are commonly 6 square meters in size. Most of the time you might have to share this view with your neighbors and from such windows, you will not get enough daylight. However, there is no noise that you will have to deal with. On the other hand, with exterior windows, you might have to suffer from noise of traffic, but it is good because fresh air and sunlight will enter your house. Compare your demands with the type of windows before making any decision. You should compare the rates at all these locations because that is the only way you will be able to find an apartment that best suits your needs in Barcelona. 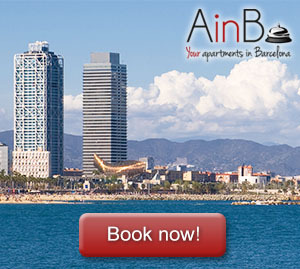 If you are confused and the selection process is getting tough for you, we recommend you consult our team of experts at AinB who will not only help you with the selection of the apartment but also help you find the best and most affordable place to fulfil your requirements and within your budget.